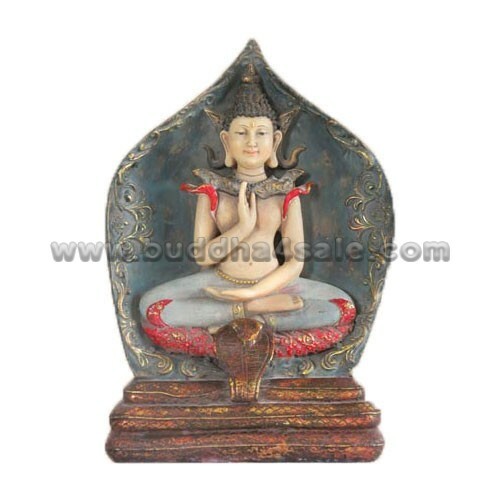 • Placement: Mantel, Office, Living Room, Study Room, Bookshelf, Patio, Foyer, Etc. • The calm and resting image of this delicate Buddha decor is formed by four stacking Buddha heads, which each Buddha head has three faces. 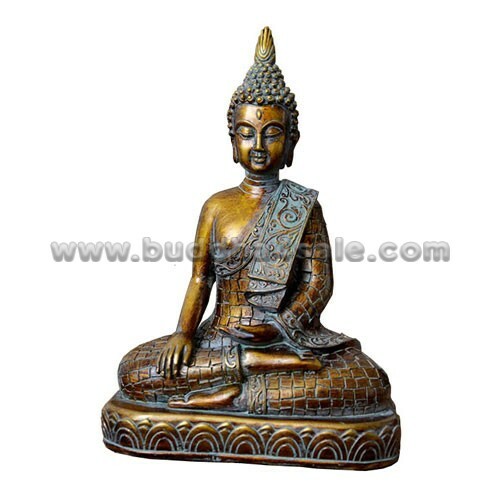 The Buddha comes in a wood finish, though is made of resin, so is more durable and lightweight. This Southeast Asia Buddha head would be perfect for any home FengShui altar or shrine. 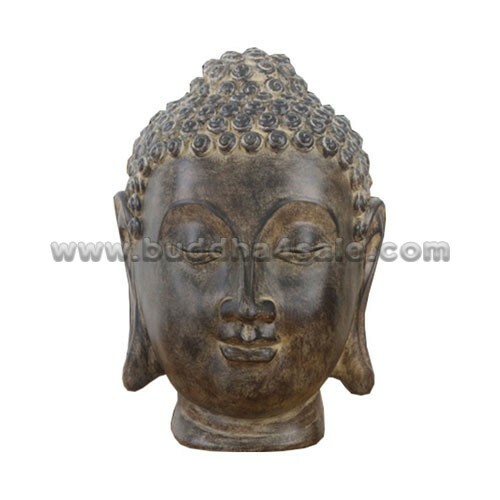 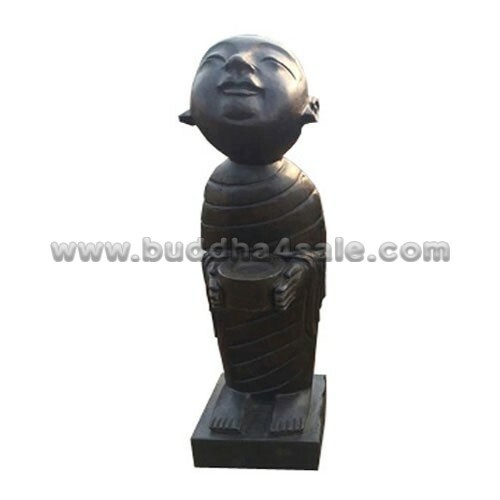 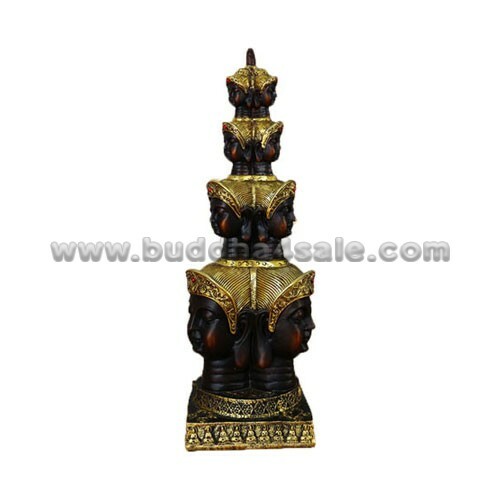 • The Buddha head sculpture imparts peace and serenity upon its immediate surroundings, also bring good luck, wealth & prosperity to your home or business. 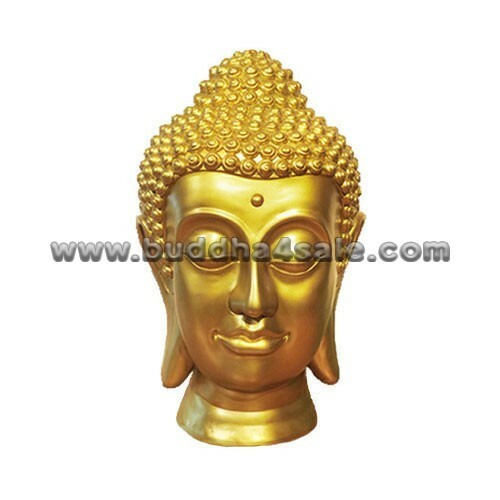 There is a speculation that the Buddha energy will be stronger whilst more faces the Buddha have. • Made of cast resin powder with a wood like finish with fine craftsmanship, it is suitable for both indoor and outdoor use. 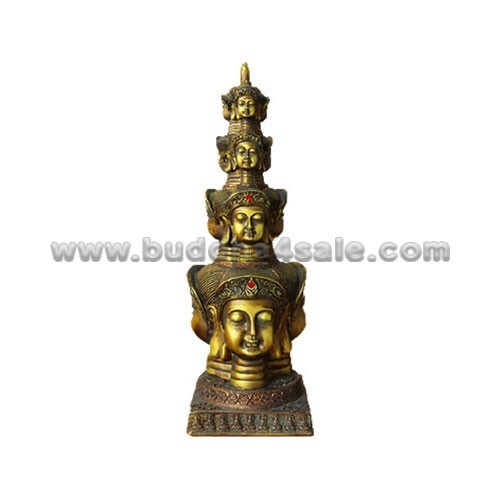 Contemporary table artwork with religious blend.